This volume features presets designed by producer/mixer/composer/artist, Peter Wade. Peter brings a twisted pop sensibility to presets for PanMan, FilterFreak, Crystallizer, PhaseMistress, Tremolator and EchoBoy. Also included are custom Decapitator presets from his studio cohort/engineer-in-training, Emmett Farley. Peter Wade is a Grammy winning producer, songwriter, engineer and half of electronic duo MNDR. Peter co-penned/produced Mark Ronson's recent top-ten single "Bang Bang Bang," in addition to producing and writing Melanie Fiona's number one European single "Monday Morning". Working his way up from getting coffee at Sony Music Studios, Wade has now recorded and mixed albums with sales in excess of 25 million copies. Wade works out of his LaBronze Johnson Studios in NYC, grows his own tomatoes and makes a wicked cream cheese omelette. "SoundToys always come through when I'm looking to make an original or interesting sound," says Peter. "I use these plug-ins everyday and when I'm not using them, they're using me." This marks the third preset expander from the Artist Series. Artist Series Expanders that feature presets designed by top SoundToys users from all facets of the music industry will be released throughout the year with the standard expanders. The expanders will be announced in the SoundToys newsletter, SoundBites, for all registered SoundToys customers and will be available for free. For the first time ever, renowned mixer/producer/engineer Tchad Blake shares his custom presets. This set is for SoundToys' latest plug-in release, an analog saturation modeler called Decapitator. Known for using saturation and distortion to make some the most respected records in the industry, Tchad was naturally an early tester, adopter, and fan of Decapitator. These presets were derived during his mix of the new Black Keys album, "Brothers," and are a solid package of mix tools from a pioneer in the field. Tchad Blake is a Grammy award-winning producer/engineer/mixer/artist who has mixed for Peter Gabriel, Sheryl Crow, Suzanne Vega, Cibo Matto, Delta Spirit, and many, many more. "The compression and EQ you can achieve has a beautiful quality to it and that coupled with the Drive and Punish gives you a whole other place to go. And I usually want to go there." says Blake, "Oh, and there's one other real important thing that makes it all work together in some incredible fashion, but I don't know what that is." "It seemed like the perfect combo," says Mitch Thomas with SoundToys, "A plug-in designed on the sound of abused gear and presets from a man who loves abusing gear. We are honored that Tchad chose to share these with us, and more honored he's letting us pass them on to our users." This marks the fourth preset expander from the Artist Series. Morgan Page takes the SoundToys plug-ins through their paces with this extensive preset expander from one of the hottest remixer/producers of today. Morgan's dance floor chops have driven top stars like La Roux, Katy Perry, Tegan & Sara, and Madonna to use his remixes. This preset expander gives you some of his favorite patches and lets you expand from there. 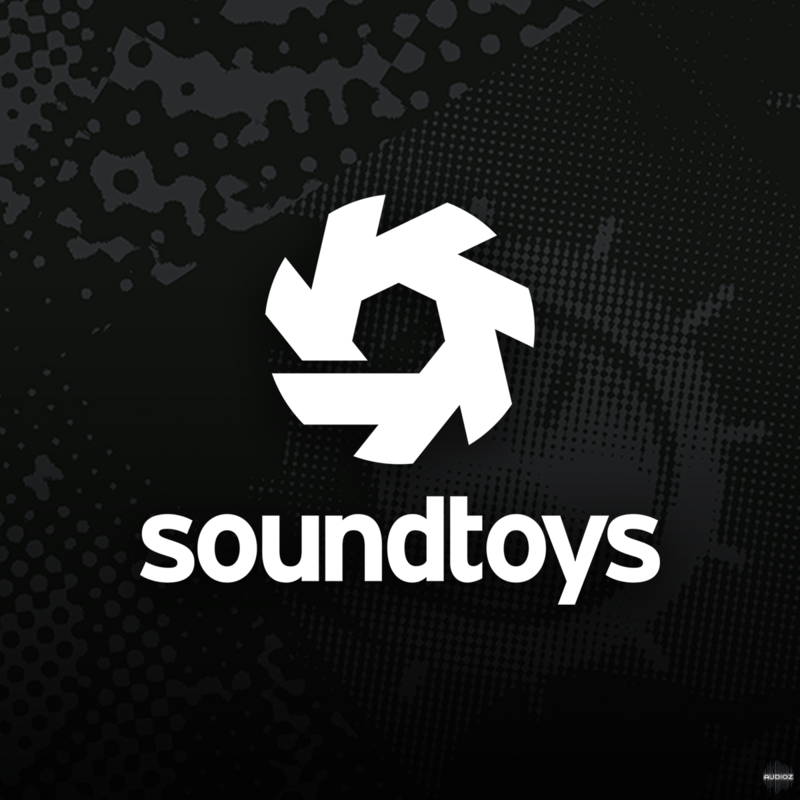 "SoundToys are an essential part of my plug-in collection. They make it easy to dial in great effects right off the bat, while allowing you to dive in much further to really tweak the settings to your heart's content," says Page. "It's a vintage gear lover's delight, with the convenience of the digital domain." This marks the 5th preset expander from the Artist Series. Do these work with the Audioutopia PC release? Guess not, as they are older versions, right? They should work as preset expanders are from 2010. Requires SoundToys v.4xx and higher. Do these work with the AudioUtopia version?